Seventeen years after it was signed, the Algiers Eritrea-Ethiopia peace accord remained elusive. Fifteen years after the Eritrean Ethiopian Border Commission ruling, the border is not yet demarcated. Five years ago, Ethiopia’s Prime Minister Meles Zenawi died. The professor who was the president of the EEBC, Sir Elihu Lauterpacht, died three months ago. Two months ago, the President of Algeria, Abdulazziz Bouteflika, who oversaw the signing of the Algiers peace deal, turned 80. Isaias Afwerki, the un-elected president of Eritrea turned 71 and is still ruling the country. As substantial as Prime Minister Meles Zenawi’s peace initiative is, we think the rationale for Ethiopia’s reversal of position is just as important. In his address, Meles Zenawi provides two explanations on why Ethiopia’s position (rejecting the EEBC ruling) should be reversed: first, Ethiopia’s development partners (Europe and the US) were insisting on it and second, Eritrea’s “forces for peace” (the Eritrean opposition) were, according to “various sources,” finding it difficult to work for sustainable peace (get rid of the PFDJ) in light of Ethiopia’s position regarding Eritrean sovereignty. 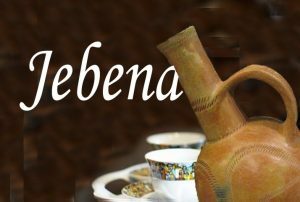 As varied as the reaction of the Eritrean body politic will be–from the instant and euphoric support of the Eritrean National Alliance (ENA) to equally instant and disdainful rejection of the ruling party (PFDJ); the nature is the same: it is reactive. Once again, the fate of Eritrea is being negotiated between Ethiopia and its development partners who are, for the most part, the very same “various sources” that articulate our views. We have been calling for dialogue because we strongly believe that almost any problem is soluble if people have the willingness to solve it. 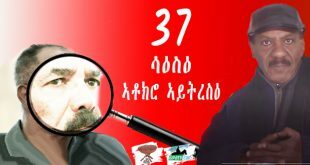 We already know that it is not in PFDJ’s nature to negotiate peace but we strongly believe that any organized and credible Eritrean opposition group (the stronger and more unified the better) that had the courage and political maturity could have negotiated precisely the same peace initiative that is being proposed by Meles Zenawi now. This would have instantly elevated the Eritrean opposition leaders to statesmen, PFDJ alternatives, and would have rendered the Eritrean government instantly irrelevant. Ironically, our skepticism bordering on paranoia of “foreign intervention,” our avoidance of dialogue, invites the very same foreign intervention we fear. We are reduced to accepting or rejecting initiatives and treaties we had little hand in creating. We have no sense of ownership and because the deals are negotiated without our input, we get even more anxious and suspicious of the foreigners. And the cycle is repeated. Two years have passed since the EEBC ruling: two whole years that we Eritreans remained bystanders in our own affairs as we said that the matter is “between Ethiopia and the UN” and “Ethiopia and the guarantors.” Ethiopia and her development partners have proposed another initiative–and if there is any doubt that this was developed with input from the partners, one need only check Meles Zenawi’s itinerary and the prompt statement of support from the partners, and all we have to do now is support or reject. 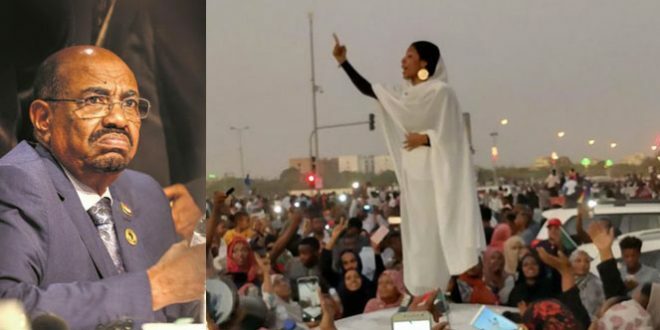 Although this change is largely the result of Western powers, any fair analysis will show that the Eritrean opposition played a part, albeit small but persistent, in Ethiopia’s reversal of its position. 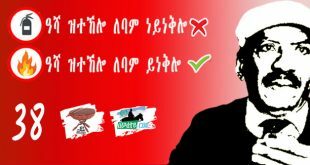 We know of no Eritrean political organization that has not called on Ethiopia to abide by the EEBC ruling. 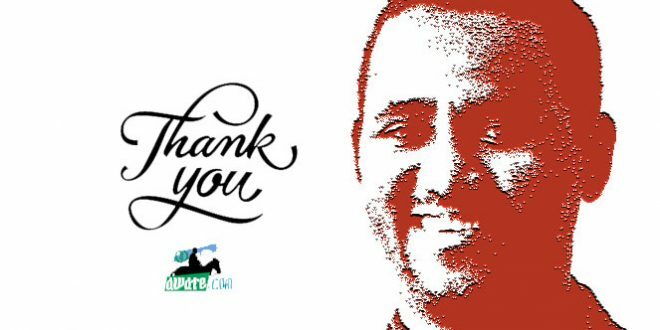 The approaches were different: some opted to lobby Ethiopia’s development partners to explain the position of the Eritrean people; others, at the risk of having their patriotism impugned, chose to directly engage the Ethiopian officials. At the end of the day, while welcoming Ethiopia’s position, we hope that all of us reflect on whether this could have been achieved much earlier if we had a strong and unified opposition speaking with one voice. The need for a strong, unified voice is going to be even more pronounced in the weeks and months ahead. Again, we think the preferred mode is direct engagement of the Ethiopian government. The issues that the Ethiopian government wants to discuss during the demarcation phase deal with (a) the root causes of the conflict and (b) the actual placement of the pillars and how these will affect the people who live in these localities. Our powerlessness has empowered Europeans and Americans to conduct dialogue-by-proxy on our behalf. This same powerlessness should not prevent us from granting the un-elected and illegitimate Asmara regime proxy powers to negotiate on behalf of Eritrea, if ever it gets around to go beyond its impulsive rejection of the initiative. 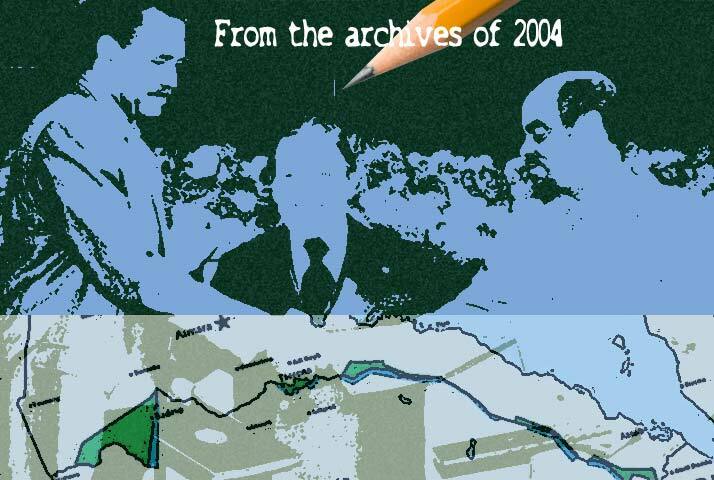 The issue of exploring the root causes of the conflict was one of the three requirements of the Algiers Agreement. (The other two are the establishment of the Boundary Commission and the establishment of the Claims Commission.) 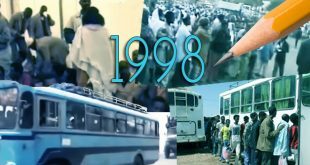 Although the Algiers Agreement stipulates that the root causes will be limited to the period of 1997-98, we think the Eritrean opposition has the right and the duty to present Eritrea’s case for the root causes of the conflict, going back to historical events. 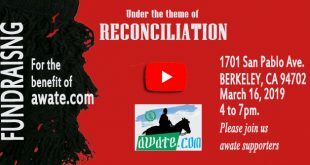 This is by no means binding, but since the intent is to bring about an enduring peace, we think the Ethiopian government should hear from its peace partners on events that may have contributed to the ill-will that has been allowed to be promoted amongst the people. Similarly, the Claims Commission had established that there were egregious human rights violations on the part of the Eritrean and Ethiopian governments in the conduct of the wars of 1998-2000. This report, which was issued in mid 2004, was selectively published with each side only publicizing the war crimes of the other, for propaganda purposes. We think it would accelerate the healing process, and promote peace and discourage all future wars, if both sides not only blamed the other but also acknowledged the part of their countrymen in these war crimes. 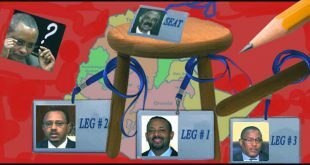 Finally, the previous position of the Government of Ethiopia and the various responses of the Eritrean opposition groups, were used as wedge issues to distance each from the other and thus hinder the formation of a consolidated and cohesive Eritrean opposition group. 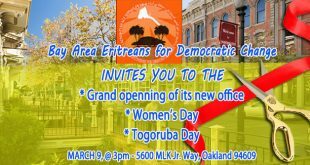 With our beloved nation being decreased to a non-entity by the day and the motives of the Government of Ethiopia now better clarified, we call on the opposition groups to work even harder to bring about a strong and effective resistance, and a peer-level co-operation with our neighbors, to rid Eritrea of the scourge of PFDJ. 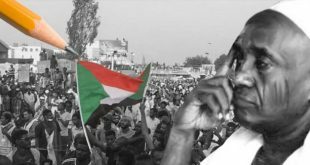 Previous Sanctions on Eritrea: Will They Or Won’t They? It is good news to read that Emmanuel Macron has won French Presidential election 2017. Marine Le Pen, a racist and xenophobic ultra-nationalist is defeated bitterly. Europe is now more confident from the direct effect of Populism. The success of Macron is great relief to the world from being terrorized by Trump. Para Todo Jentes a mi Pueblo, Oakland dela Raza Mexicanos! Mr. President Donald Trump, Don’t Build The Wall! Causa Justa – Just Cause, in my strong and humbled opinion. The USofA is by far THE LEADER AMONGST NATIONS in Breaking Down Barriers. …..
Make A STAND on 17! Briefly Vet., allow me to state my, on personal and perhaps on an egotistical level, dissatisfaction of your last response to a specific question. Your avoiding of the question, and instead narrating your concerns of the YG enthusiasts among mingling amongst the justice seekers…, was as good of Hyatt Adem’s snubbing. I was perplexed as you have claimed you are with great concern about the “Queen” Hyatt Adem. I am however greatly appreciative of your valued attention and thought you have given to my inquiry. Only 17 years ? It sure feels like its been twenty or plus years since. This is one of those events where you remember the place and the circumstances when you first heard it. I still remember the breaking news . It was in the afternoon. I had walked to the nearest SUQ to buy a cigarette* and the regular programming was suddenly interrupted to announce the news. I still have a vivid memory of the aroma of the frankincense mixed with cigaret and qat. My point is , even for me who didn’t have to endure any of the hardship , it still feels a long, long time ago. How much the people who have to bear the brunt of this mess. Dear Awate team , this article was and is a historical article , Thanks for bringing to light again . I heartily thank you , again thanks . where is ENA now ? any one from Mecihalit can guess where ENA about .Time is a learning curve but these people does not deserve to learn any thing , these people must not be punished because their failure already pushed them out the game. ASKARBAY KOYO KIDANEY BANO ADIKA DO TIMINO . 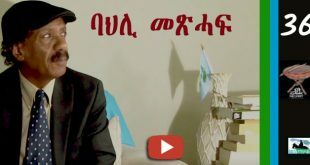 kla aykemtin kla ta aykemtini kebdika do eluka ZIRIG BITIN “KITREKIB KITSEEN ZEYTIFITIN” Thanks to Tsehaytu beraki . Dear saay (Tiwugah emo gize ) please help me, “reflect from your own experience” , you can start even from the day you challenged the ethiopian guy (i am sure you remember his name). As our people say “at’Hzeni” (help me recall) because I have no idea. At which website was this? The other day, “Saba” mentioned that she was researching Visafric and how I used to write there too, which was followed by Sabian digs of The Third Wave. Apropos nothing, where is my cousin Gheteb. Yesterday I read at shabait that the Commander of the Eritrean Navy escorted Eritrean diplomats (ambassadors, charge d’affaires, consuls) on a zura-hagerka tour and showed them historical Rahaita. I have so many questions that only Cuz Gheteb can answer. Alekha do, cuz? Are you saying you never wrote in Visafric? If that is the case why did G. Mussa thought one of your articles was harsh to the homeless people and he wanted to edit it and u refused? was that first time and that article was not published? Huletegna: I don’t remember the story you are narrating about the homeless but I don’t doubt it given your freakish memory. I wrote very few original articles for Visafric; most of them were cross-postings from Dehai. The only thing I remember is that once I wrote “That’s why Eritrea has a standing army” (to defend itself) and the editor corrected it to “That’s why Eritrea has astounding army.” This got a bunch of Abis from the era to harangue me about bragging about Eritrea’s astounding army after our….umm…reversal of fortunes. Well saay, I remember the Visafric days too. Your memory of the Eritrean “Astounding Army” and “A Strong Army” might be technically correct. 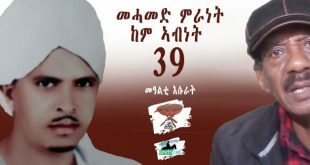 However my memory as an “Abi bunch” was that of the astounding nature of the Eritrean Army. Nowadays, I have accepted your efforts of those and subsequent days in trying to protect the homeland from the pending disaster. Even after the disaster you stood toe to toe with anybody and everybody to protect the Ghedli, its mission and reputation. 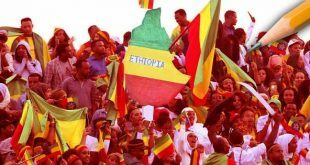 In hindsight, I am resigned to looking at it in the same way patriotic Ethiopians have done to protect the “Adwa” victory as the 1st not only Ethiopian but African military victory over Europeans. It succeeded. It doesn’t matter now how the victory was achieved and the surrounding factors. Never mind what a surviving Italian officer wrote as to what happened. None of that matters anymore today. It is my belief that what you said and did is to help protect the narrative and promise of the Ghedli for the great, great, great grand Eritrean kids. The cyber space struggle will go on for the next 25 years or more. Success will be known when we see and read the 100 and 200 year anniversary of the May 24th celebrations. If Ghedli is converted into “Adwa” in some form, you have succeeded. If not, you, ‘Gehteb and all the rest would be written about as rebels without a cause. I don’t mean to quibble but you and the Abi Bunch still have it wrong: it wasn’t the difference between “astounding army” and a “strong army”. It was the difference between “astounding army” and “a standing army.” The latter simply means a professional, permanent armed force. I am curious to know (and I am not trying to be smart here) what is it that we will “see and read” 100 or 200 years from now on May 24th celebrations? I mean what are the choices? It will either be an independent country, which is developing, progressive, at peace with itself and the rest of the world. Or it will be what most African countries still are: independent but hardly developing and on the verge of collapse. Do you envision other choices? If not, why is Eritrea worth studying and observing any differently than, say, Zimbabwe? I was going to start with a “teret” about this boy who was sent to buy 3 loafs of bread and came home with two and decided to argue his way out of the predicament. But I choose to admit I ate one of the loafs. Let us see. Standing army or strong army, that is the question.You are right, I still have it wrong, because it was branded and effectively communicated at the time. The part about 100 and 200 years to see and read is for everyone to contemplate. The prediction capability about my own life from when I was 20 years old to now totally disqualifies me completely. However, we will see and read something when we get there. I think it qualifies as an unknown unknown unknown. If it qualified as 3 unknowns, why raise it in the first place?! This week seem to has turned into discussing unknowns as if there world has run out of knowns that deserve attention and discussion. Yes, I am missing your cuz Gheteb as well. Just chiming or writing as does a writer. And I ask Gheteb and Saay7: What does the rider? Follow the Moon and The Hauling Wolf. Ermias miEraf Asertekhilte ksaE AaserteArbaEte temelket.